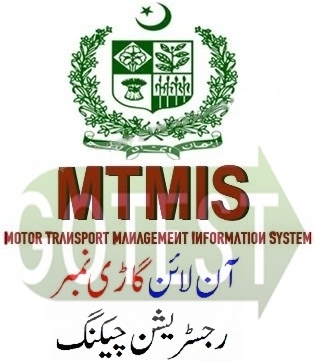 For the online Status about your vehicle registration the Punjab Excise and Taxation department has announced the Online Punjab Vehicle Registration and Owner Verification System, SO now you can check your vehicle registration status and owner verification online easily on your computer at home. Below we provided the information and procedure to check easy. Excise & Taxation Department is the major provincial revenue collecting agency of the Province of Punjab and collects various taxes on behalf of Provincial, Federal and Local Governments. You must provided the given data of your vehicle in below blocks and click on Search Vehicle. Excise & Taxation Department Punjab Providing services for collection of various taxes and duties efficiently and effectively. Suggesting ways and means for additional resource mobilization in the Province. Collection of Provincial and Federal and Local Government Taxes as assigned by the Government. Enforcement of applicable Rules, Regulations and Ordinance. Enforcement of Hadd Ordinance, 1979 for prohibition of liquors, intoxicants and narcotics. Regulation of import, export, possession consumption of various dangerous drugs and narcotic substance. Issuance of Registration Marks and Certificates to all kind of vehicles. For the Further Details Regarding your Vehicle registration you must stay with us for the any province of Pakistan. Sir request please update me about the ownership status of vehicle no LXO 7457 (toyota car) from first owner till to date with name, sir I want to bye this car, for clearence please confirm the vehicle is clear or not ? I purchased a car model 2002 which registration No is LRG 5005 plz Check and send me detail.